Total of berths : 900 - Berths up to 100m plus. Marina di Stabia is set in the heart of one of the world's most sophisticated tourist area, close to Sorrento, Capri, Amalfi and Ravallo. It offers much to those who enjoy a truly unique yachting experience. The hospitality and generosity of the local people is legendary and echoes of past civilisations are evidence everywhere. Here the beauty of the setting enhances the joy of life. Even the simple ritual of being served and enjoying a cup of coffee becomes something special. 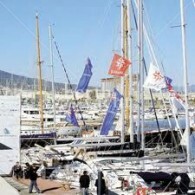 The marina is 20 minutes from Naples international airport. It is strategically positioned in the centre of the Mediterranean, on the West coast of Italy, adjacent to the historical site of Pompeii. It is perfectly located at the gateway to the Sorrento peninsula, a world renowned cruising ground, bounded by the islands of Procida, Ischia and Capri - a welcoming area of vibrant colours and scents, extraordinary music and excellent gastronomy. The marina is a new generation super yacht facility with 900 berths up to 100m plus, belnding modern style, elegance and efficiency. This is a safe and secured iternational marina, where reliable team of professionals delivers year round, high quality service and assistance. This quaity continues in the restaurants and bars and even beside the pool. Fine dining in the norm and service is friendly and relaxed. 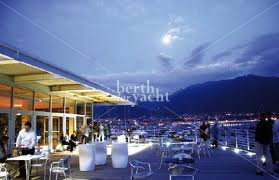 Set in a second basin with independant access to the sea is a fully equipped 60.000 sq.m shipyard. Here qualified carpenters and mechanics take pride in combining the very best of traditionnal boat skills with the most modern techniques. This in an internationally renowed shipyard with facilities for all kind of vessels, a perfect place for the care of your boat. 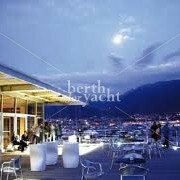 Berthforyacht .com is proud to offer berths in Marina di Stabia to their priviledge and exigent clientele.